Visualize and attain your highest ambitions and succeed in business and personal relationships. Through a series of powerful mental imaging exercises, you'll learn how to eliminate career-threatening time pressures, accomplish more in less time with fewer mistakes, and improve relationships in both your professional and personal lives. Plus you get valuable techniques on how to improve vital skills such as memory and concentration, use intuition to solve problems and make decisions, increase your energy and confidence, and grasp new and complex technical information at lightning speed. 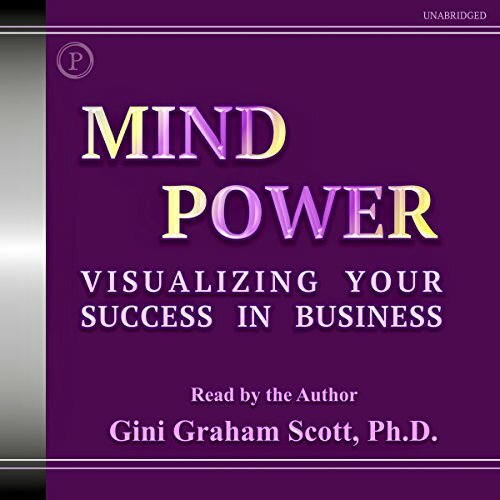 Gini Graham Scott, PhD, is an expert on mental imaging and has appeared on many national and local talk shows. A marketing and management consultant, speaker, and seminar leader, Dr. Scott has authored dozens of books and is the founder of Creative Communications and Research.